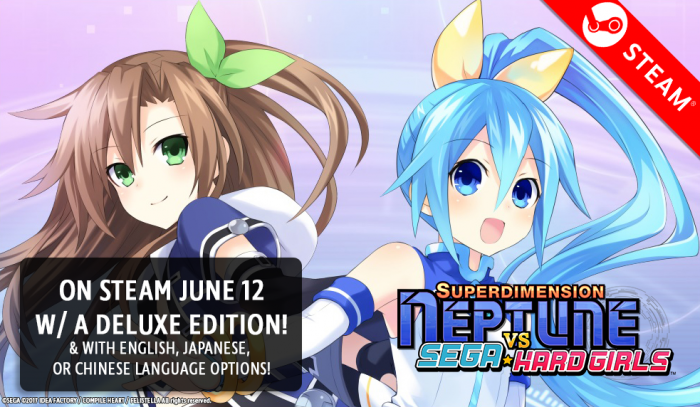 We’re a few days away from the from the June 12 Steam launch of Superdimension Neptune VS Sega Hard Girls™ and we’ve got even more news! The game will launch with a Deluxe Edition featuring a Digital Art Collection, mobile wallpapers, and desktop wallpapers. Plus, it will also have the options for Japanese or traditional Chinese text! It will launch with a special weeklong 30% discount, along with extra savings on bundles!